Color laser printers are quite the useful machine for the business users. Although these printers are not very popular among home users because of their price and color printing quality, which isn’t exactly up to par with inkjet color printing. But for basic monochrome and color printing needs, color laser printers are much preferred in offices and businesses. Laser printers work this way. They utilize a laser beam in printing. The light of the laser affects the electrical charge of a drum in the machine. The drum goes through the toner and transfers the toner to the paper using heat and pressure. In finding the best color laser printer for you, you have to consider your needs. You have to ask yourself what matters most to you. Is it price, speed, or print quality? To give you a little help, here are the top three printers you can check out. PC World’s Best Buy product when it comes to color laser printers, the Brother HL4040N is no doubt the perfect printer for the office. What you’ll like about this printer is its fast print speed of 21 ppm, the excellent print quality at up to 2400x600 dpi, and the low cost of printing per page. Though not loaded with advanced printer features, this is one fully functional and well-suited machine for your business uses. The printer also has a fairly competitive price, which makes it great for small to medium sized businesses. It is also quite easy to use, coming with easy setup tools and a very helpful, illustrated user’s guide. It also has a title LCD for flexible use. On the other hand, the printer is quite heavy, so it is not exactly the most portable around. But this is hardly a concern with office-based printers. The HL4040N more than makes up for this with its multi-purpose paper tray and easy navigation tools. If your needs are past the basic, you can go for the more scrupulous Lexmark C530dn. This is a great choice for small to medium sized businesses looking for a color laser printer with an excellent print quality, which is the printer’s best feature. The print output of the printer is sharp and solid, both for colored and black and white printing. Aside from that, however, the Lexmark C530dn also has some great features, such as a duplexer, a 100-sheet manual tray, a 250-sheet main paper tray, and a very nice outward appeal. The printer also prints quite fast in black and white, at 21 ppm. The 4 ppm for colored printing is not that fast, but the resulting print is definitely worth the wait. The printer can also accommodate PCL and PostScript emulation printing. All these can be received from the quite affordable package from Lexmark. Recognized for its good value, the HP Color LaserJet 2600n is an excellent choice for small businesses or home businesses. The memory and speed is not that advanced, at 16 MB and 8ppm respectively, but for basic small-scale printing, the printer is one of the few that offers great value at a very affordable price. The print quality is also quite impressive for an entry level printer, which can render sharp texts and full-color charts and images, but perhaps not photos with its 600x600 dpi. The printer is an Editor’s Choice awardee of PC Magazine, particularly for its great value and affordability. Basic users will definitely like this product. In choosing your color laser printer, you definitely have a few things to consider well. The most important feature of a laser printer is its printing speed. There are some laser printers that tend to be quite slow, and if speed is important for you, you have to look carefully for a high-speed unit. Of course, you also have to look at the print quality, especially if you need the printer for colored printing. Most laser printers offer good print results, so you won’t have a problem finding a decent model with this printer. If you are a business user, you should also consider paper options and connectivity, which widens your printing options to help you make the most out of your printer. 11 x 17 Color Laser Printers - Quality Printing without Boundaries - 11 x 17 color laser printers are undoubtedly very useful, especially in medium to large sized businesses. These printers offer you a wide range of printing options and exceed what would otherwise be a limitation for some other printers. Multifunction Color Laser Printer - All You Need in One Machine< - A multifunction color laser printer is one of the most useful and practical inventions in the printer industry. Combining multiple functionalities from printing, copying, faxing, and scanning, these combination machines are definite must-haves in the business office. Samsung Color Laser Printer - An Excellent Name on Excellent Laser Printers - A Samsung color laser printer, impressive in every way possible, is the result when you put laser technology and the Samsung mark of quality together. Brother Color Laser Printer - Full-Function Printers You Can Trust - A Brother color laser printer is exactly what you need if you are looking for printers that put function and performance on top of anything else. Wide Format Color Laser Printer - A wide format color laser printer definitely plays an important role in any business, especially large companies wherein banner and wide-format printing is not entirely avoidable. 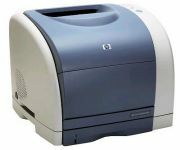 Canon Color Laser Printer - Your Best Office Worker - A Canon color laser printer is a great addition to your office staff. It is efficient and highly productive. Cheap Color Laser Printer - High-End Quality at Low-End Prices - A cheap color laser printer is an integral part of any starting business. A printer such as this can help you do the necessary work without a heap of expenses. Tabloid Color Laser Printer - Finding A Printer That Can Go Far and Wide As Want It - A tabloid color laser printer refers to a color laser printer that can print on 11” x 17” paper. The tabloid paper is also known as the ledger. Color Laser Printer Comparison - Helping You Find Your Partner in Printing - A color laser printer comparison can help you find the best color laser printer that meets your most specific needs. Network Color Laser Printer - Finding the Machine that'll Complete Your Team - A network color laser printer is definitely a handy addition to any workgroup. Empowering all members of a staff together with just one machine, a network printer can just be one of the most important machines for your business. Color Laser Printer Scanner - Multiple Choices in Multi-Function Printers - A color laser printer scanner is an integral part of any business. The idea to combine these two important machines into one revolutionized the consumer electronics industry.